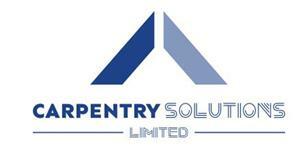 Carpentry Solutions Ltd - Carpenter, Kitchens based in Sandwich, Kent. Carpentry Solutions is an established business providing all your carpentry needs throughout Kent and surrounding areas. Our goal is to not only help you design and build your projects, but to make the process as easy and hassle free as possible for you. The reliable and trustworthy service provided has built up a long list of satisfied clients who can all attest to our superior craftsmanship, attention to detail, clear communication, honesty and integrity. There is an extensive portfolio of work previously carried out, some of which can be viewed in our gallery and more are available on request. Carpentry Solutions would welcome the opportunity to earn your trust and deliver you the best service in the industry. CALL TODAY TO DISCUSS YOUR IDEAS AND TO GET YOUR FREE NO OBLIGATION QUOTE.